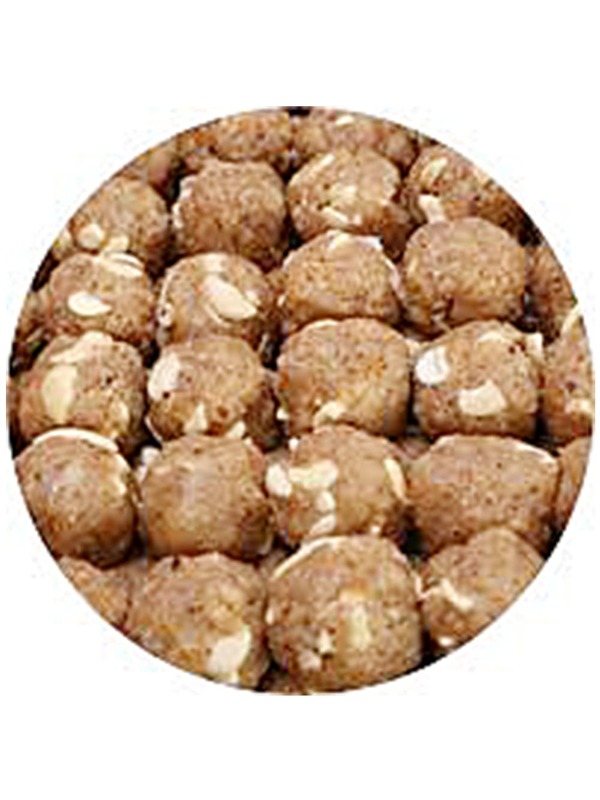 Aatta Dry Fruit Laddoo is an Indian and Pakistani sweet snack, treated as a nutritional supplement. It is made from whole-wheat flour fried in sugar and ghee, heavily laced with dried fruits. It is usually eaten in the winters to ward off cold. It is normally given to nursing mothers. It is considered Hot Food to help with the production of breast milk. This Besan laddoo is as famous as it gets. Known for its dryness on the outside and the luscious texture once we put it inside our mouth, can seriously defeat every other sweet. From the name dry fruit laddoo, we can obviously get that this Indian sweet mainly consists of contents like almonds and other dry fruits such as dates, raisins, cashews and cardamom pods blended finely with palm jaggery and dried coconut. Laddoos are to India what pies are to America. Everybody has them and everybody absolutely loves them. Kids, youngsters and the old like them alike. Goond Laddoo as such is loved by one and all. We all remember eating this in our childhood with much awe and interest. Every mother would like her child to be eating these, for they are known to be extremely good for health. In the season of winter, especially, they are eaten so as to not catch a cold. Goond laddoo is made with Goond, sugar and flour. It is fried in pure ghee. This product is brought to you by Hira’s Sweets. They a mithai shop based in Shahadra. They mainly aim for optimum customer satisfaction, hence, you can buy their products worry-free. The shelf life of this product is 7 days. 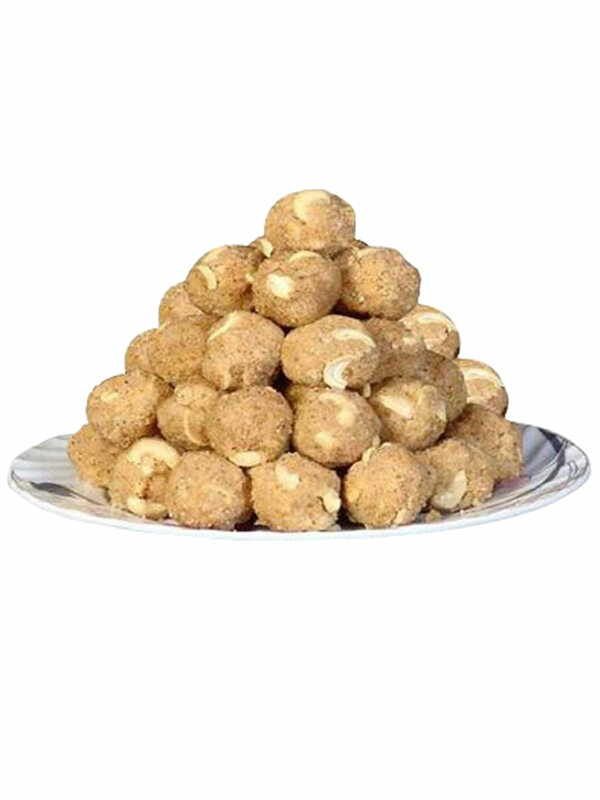 Vinayak Bhog badam laddoo buy online on FoodFeasta which contains dry fruits and roasted nuts with jaggery, is just too yummy to resist. Treat yourself with this sumptuous badam laddoo, order on www.foodfeasta.com right away and get fresh delivery. Treat your taste buds with delicious Dry Fruit Ladoos from Lovely Sweets. These Ladoos are enriched with proteins since they are made from assorted quality based nuts. Lovely Sweets have been pioneering in making confectioneries since 1961. Shahi Dry Fruit Ladoos would act as an excellent snack or simply complete your meal. Shop online in India on FoodFeasta.com for easy and hassle free delivery of choicest of sweets at your doorstep. Bon appetit! Traditional eatables are mostly appreciated by people all over the region and here we have for you something that isn’t available easily at your nearby places. Ladoo wrapped up with the flavors of Rajasthani culture, is really different from other kind of sweets. Prepared with the richness of ghee and garnished with Dry fruits, this is a real stop for you all where you can satiate your taste buds and flow with the smoothness of its texture which slowly blends in inside your mouth. If you have a sweet tooth and craving for sweet, then Rajasthani ladoo is what you should try. Kanwarji’s in Chandni Chowk bring you this amazing delicacy and you can have it by ordering it online with www.foodfeasta.com. We need not convince anyone who has already savored this dish to order it as soon as possible, but for anyone who hasn’t, or is in doubt, read on! Moti is a hindi word which means pearls or resembling a pearl and this sweet is indeed a gem! The soft texture, which melts into your mouth and the tantalizing sweet taste which lingers for a while… The more said about this sweet, the less it is! Laddoos are spherical balls where the filling itself makes up the interior as well as exterior and thus you won’t be disappointed after the first bite since it is going to remain uniformly tasty throughout! And the best thing is that we are going to deliver it right to your doorstep if you buy it online from FoodFeasta.com. Do we really say anything more?! Buy Anjani Sweets' boondi ke laddu online thru FoodFeasta now! Anjani Sweets from Chirawa has been loved for its desserts since its origin and uses the best quality of ingredients with proper hygenic conditions. Made from Besan, pure ghee, cardamom, saffron, almonds and other dry fruits, this bundi ka laddu is the best dessert that you will ever have! Order now on www.foodfeasta.com for a hassle-free and fresh delivery, right at your doorstep. In India Besan Laddoo often made during festive occasions. To make them more healthy dry fruits like almonds, pistachios, cashew nut, Elaichi with Pure Ghee & Sugar used while making Besan Laddoo. It is easy and healthy sweet, also good during the winters & loved by most kids.